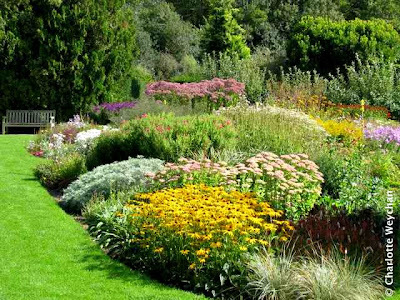 As November beckons, it's harder to find gardens here in the UK that welcome you with open arms. 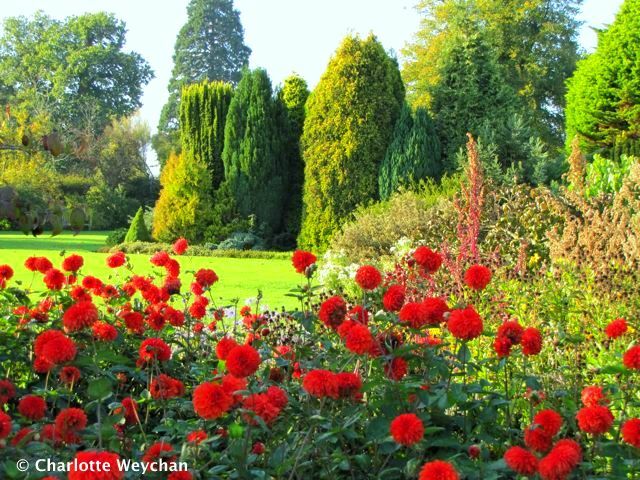 The majority of our gardens close at the end of September; a hardy few remain open until October; and it's really only the botanical gardens, arboretums and great parks that keep their doors open throughout the winter months. But Waterperry is one that welcomes visitors every day of the year except Christmas, and its easy to see why when you look at the planting at this magnificent garden near Oxford. 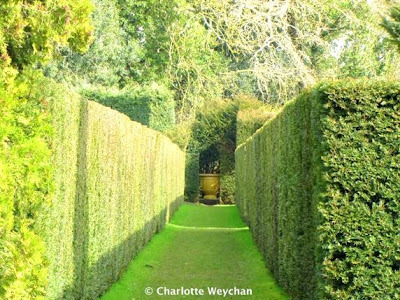 One of the great joys of Waterperry is that any aspiring gardener can visit to see what they'd like to grow at home. The nursery beds (above) are beautifully organised into groups of herbaceous perennials, and all plants are labelled. When I dropped in last week, it was the asters that took my breath away and you can see here (below), just how brilliant the signage is! 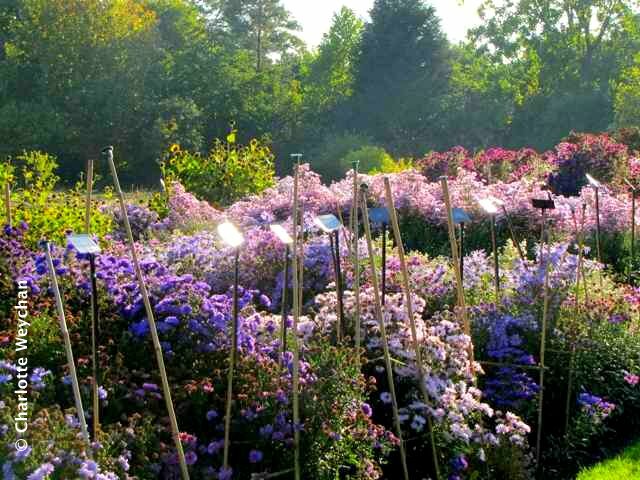 The nursery here is also excellent and assisted by the labelling, I left with a car full of plants for my own garden, confident that I would have the right cultivars and colours for the spaces I wanted to fill. 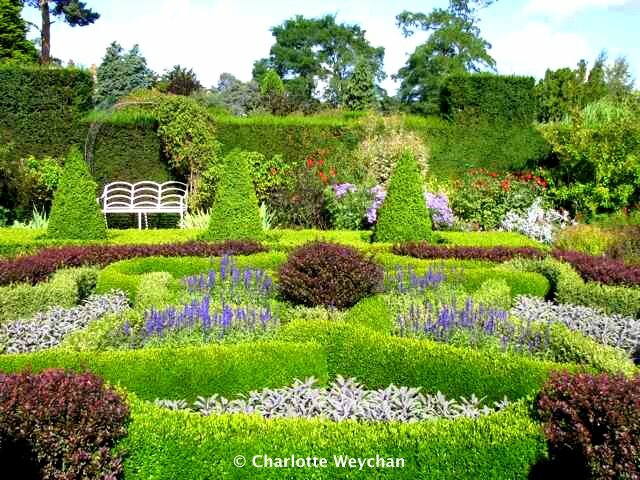 Beatrix Havergal founded this garden back in 1932, and set it up as the "School of Horticulture for Ladies". It's located on a flat site near the River Thame and has rich, slightly alkaline, loam soil. Today it's still a great learning centre and people travel from far and wide to attend the numerous gardening courses on offer here, as well as a range of arts and crafts subjects. If I lived nearer, there are certainly many day courses that would appeal to me. In addition the the stunning borders and trees, there's a magnificent Formal Garden (above), designed by Bernard Saunders and Mary Spiller, and featuring high yew hedges for protection and an imaginative knot garden, where the compartments are filled with summer bedding plants. But I'm not so sure about the slightly oversweet statue of a young girl carrying a lamp as the centrepiece (which is why I've left it out). Other statues in the garden are less sugary and there's a fine collection of sculptures by the Shona people of Zimbabwe. 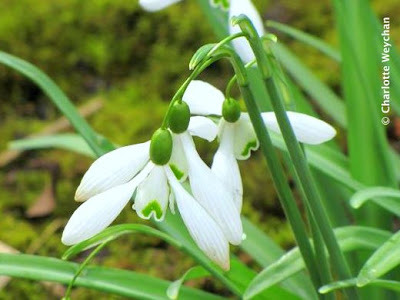 Once winter comes, Waterperry is renowned for its snowdrop collection. You get as good a display here as anywhere and when I visited in March this year, I was astounded by how good the garden looked after all the heavy snow (below). There's also an alpine garden here, and five acres of orchards, with nearly 50 varieties of apple growing, a small gardening museum and some spectacular trees. Definitely worth a visit at any time of year and you can combine it with the University of Oxford Botanic Garden, less than half an hour's drive away. For the well-labeled asters alone I'd like to visit this garden. Beautiful. Hampton Crt in Herefordshire is also open all year - worth a visit. That is one big WOW.